BedBreakfastTraveler.com (Instant World Booking) has proven to be very successful in gaining top search engine rankings for its listed bed & breakfast partners. One reason it is important to use the instant booking method is that we use pay-per-click (PPC) advertising to market your property on Google and other sites. Use of a PPC campaign can cost you hundreds of US dollars each month. However, for our B&B and hotel partners who use instant booking, we advertise your property in PPC campaigns for free. The vast majority of users searching accommodation on the internet want instant gratification. If they have to wait for a response to a request, they disappear quickly. With instant booking, you capture the booking immediately, before they have time to search elsewhere. Instant booking has a much higher reservation success rate because of (1) above. Some users will submit a request simply to find out what rates are, and have no intention to book soon. This forces the innkeeper to respond to requests that will never turn into reservations. A percentage of all users never receive the response email because they are using some free email service (e.g., hotmail, yahoo, gmail etc.) that blocks mail from new senders as spam, and they don’t realize that this is happening. This is a simple fact that affects virtually all online services these days. A user that falls into this category will either disappear or complain that they never received a response. Nevertheless, with instant booking, this is never a problem, since the user receives confirmation directly while they’re still online. Innkeepers that are concerned with managing a calendar online have many options available to them. If they don’t want to use our interface directly, they can use one of several third party interfaces that feed into our system (you can contact us for recommendations). The risk of an occasional overbooking is more than offset by the higher level of bookings, income, and benefits mentioned above that can be achieved with the instant booking method. We recently read with great interest the blog entries by Eric Goldreyer, the CEO of Bedandbreakfast.com. Intelligent and well-spoken, Eric speaks in one article of the Lifetime Value of a Guest. In short, this is the value a B&B earns over a lifetime by bringing in one guest. Lifetime Value of a Guest is usually multiples of the earnings on just the first reservation. The article is worth reading and has several good points to be driven home to innkeepers. Where we stopped short in our tracks is when Eric illustrates the concept with a typical example. He uses 25% as the typical cost of a reservation. He then goes through the calcuation and reinforces that ROI (Return on Investment) is a primary consideration for bed and breakfast owners. Please allow me to emphasize, well no … proclaim loudly, that 25% is not anywhere near a good value for B&B innkeepers to be paying for a reservation. Even when the lietime cost of acquiring a client is maybe half of this (12.6% as Eric Goldreyer goes on to explain in his article), it’s still not a bargain for the hotel. When CEOs of online booking services announce publicly that typical costs of acquiring guests are in the 25% range, it makes us wonder where all the value is going with the high technology available today. In this particular case BedandBreakfast.com is a proponent of all the right concepts, as stated in their other blog entries, including “online reservations, leveraging ratings and reviews, frequent stay programs, etc.” These are all the concepts we at BedBreakfastTraveler.com (Instant World Booking) have been talking about for year. Nevertheless, consider that the cost structure we are able to offer to you, the innkeeper, are roughly one-third the amount you’ll be paying as suggested by Goldreyer above. The blog articles mentioned in this article can be found at the links include in the comment below. Want to gain a major boost in internet exposure and traffic for your bed and breakfast? Instant World Booking has introduced a major service for our B&B partners worldwide. Now, when you list your property with us, we translate the information you submit into 14 different languages. We then publish your property on 14 individual multi-lingual webpages, each featuring only your property. This is a major level of service that only Instant World Booking provides for free to B&B partners. In fact, it’s a must-have service for any lodging who wishes to gain serious exposure on the internet. As always, Instant World Booking’s services are free for bed and breakfasts to use. Consider that your B&B or inn can quickly and easily have 14 new pages, dedicated specifically to your property, in the most used languages on the internet. Unlike other services, these pages are not simply duplicates with your comments translated. Each page is a full translation uniquely search-optimized to rank high on multi-lingual search engines. 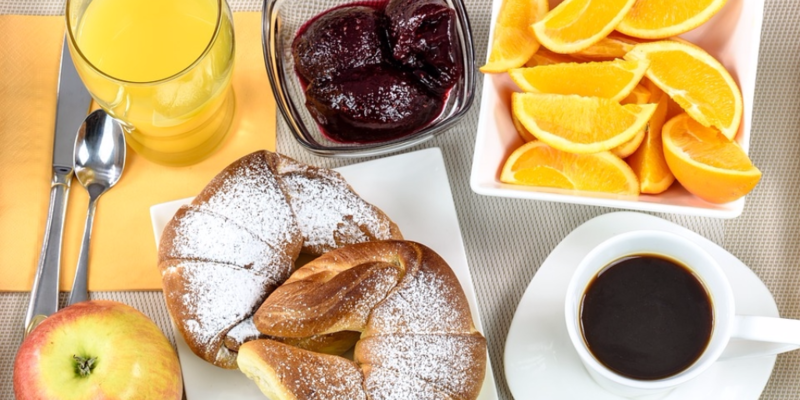 If you haven’t listed yet with BedBreakfastTraveler.com and the Instant World Booking network, this new level of service is yet another reason why no competing service offers more to bed and breakfasts around the globe. We invite you to compare competing services, then check us out. New also is the ability for you to submit your listing information in the language of your choice. If English is not your first language, not to worry. You can submit your property information in any language you wish, whether it’s Spanish, Italian, Greek, Arabic, etc., Instant World Booking will then take the information you wrote, and translate it into 14 of the most widely used languages on the internet. To increase bookings, you need to increase your exposure. Get 14 translated listing pages for your property up and running on the web now. List with Instant World Booking today. Want to know the number 1 rule of tourism marketing on the internet? Good Photos Increase Bookings. Now that doesn’t sound like much of a secret, does it? But surprisingly, almost half of all tourism marketing, especially in the lodging market (B&B’s, Inns, small hotels, etc.) don’t follow this very simple advice. BedBreakfastTraveler.com and the Instant World Booking network have now made it much easier for you to increase bookings with excellent photos. We now offer unlimited photos for your online listing. That’s right — Unlimited! This feature is new, it’s free, and as always, maintaining a listing with the BedBreakfastTraveler.com is free. Check out half of the small bed and breakfast websites on the internet. Photos sell rooms! We can’t over-emphasize this simple concept. Look further to the competing booking services around the web, especially those catering to the bed and breakfast and inn market. They offer maybe half a dozen photos or so for a bed and breakfast listing, and their display size is a small image barely larger than a thumbnail. This does very little to sell your rooms and beds. What’s worse? These services are expensive! If you’re familiar with BedBreakfastTraveler.com, then you already know that we lead the competition in innovative technology. And what’s more simple (yet innovative) than offering unlimited photos for free? No other service offers this, and they know many properties will be willing to pay large membership fees if they did. Don’t pay. Try BedBreakfastTraveler.com. If you’ve been advertising your bed and breakfast or inn on the internet for a while, you know that good photos do increase sales. And, the more photos you have the better. Don’t include just photos of your guestrooms, but of all common areas of your property, inside and out. Give a real sense of what it’s like to stay in your hotel. And what about your environment? Include photos of the surrounding neighborhood and views from your property. This really sells rooms. To add your photos, simply sign in to your listing at BedBreakfastTraveler.com, and proceed to the MANAGE PHOTOS page. You can upload an unlimited number of images. And, you can submit images as large as 8MB! No more re-sizing and touching up your photos. Our enhanced system will handle that for you. As a bonus, don’t worry about the format of your pictures, you can now submit JPEG/JPG, PNG, and GIF images. So get online today, and add your photos. Remember, good photos increase reservations. If it’s been awhile since you’ve refreshed your pics, get your camera out, and start taking new photos. A recent letter that crossed my desk suggested that online advertisers should forget Google. Consider search engine advertising for cheapskates, the ad proclaimed, suggesting that Google was overpriced. The advertisement made me stop and think, when advertising our bed and breakfast or small inn on the internet, are we getting the value we need? So, do we sidestep Google, and move in a new direction towards budget advertisers? We can’t answer that question for you. What we can say is that, when considering what search providers to target, you need to carefully consider your goals, and who you’re trying to reach. Many budget search providers can’t be matched in value or performance, considering the target audience you’re trying to reach. Their flat rate plans can offer an excellent way of controlling costs, considering Google PPC type advertising can quickly run up large bills if you’re inexperienced. So, when considering paid search advertising, know your audience and who your customer base is. Consider that Google accounts for roughly 60% of online searches worldwide, and Yahoo accounts for about 20%. If you want to try some budget search providers you can definitely gain some value for the amount you pay. But, if reaching the largest possible online audience is one of your goals, then Google and Yahoo cannot be ignored. If your bed and breakfast targets customers in a particular geographic region, the large providers offer excellent ways to target the placement of your ads geographically, so you don’t have to worry about wasting money on ads displaying in regions where you never expect to gain customers. To recap, the lesson to learn when considering online search providers is to know your target audience and select the provider that offers the best and most economical method of reaching that audience. If your goal is to reach the largest and most geographically diverse audience quickly, then Google is pretty hard to match.